Will my glasses arrive safely? Here at Drinkstuff, we understand that ordering fragile items such as glassware can be a worrying idea. How can you be sure they will turn up in one piece? We have more than 35 years of trading experience in glassware to both the domestic market and the licenced trade, and we take every precaution to make sure your parcel arrives safely. We've compiled a quick step by step guide to show you how we keep our position as one of the country's premier online retailers of glassware. 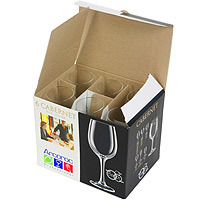 All our packs of glasses are boxed appropriately. Most glasses come pre-boxed by the manufacturer, however we also have our own in-house boxes designed specifically for glassware sets that we build ourselves. Once your glassware has been picked from our warehouse, our packing team carefully select the right sized box to package it in. Next we choose one of our environmentally friendly packing materials to help cushion your pack of glassware; either recycled shredded cardboard, biodegradable air flow packaging, or bubble-wrap. After we've selected the appropriate box and packing material, we make sure to cushion the pack of glassware safely so it is protected when in transit. 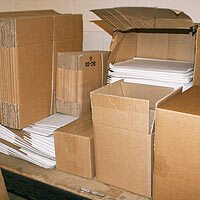 A layer of packaging is placed on the bottom of the box, with further packaging around the box and then on top. 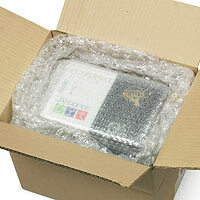 Once your carefully packaged parcel has left our warehouse, it travels straight to your door with our courier company.